@kenbarbi, would you mind sharing how you got Rachel working on the current DC. I would like to put it on the SD card and have it available. 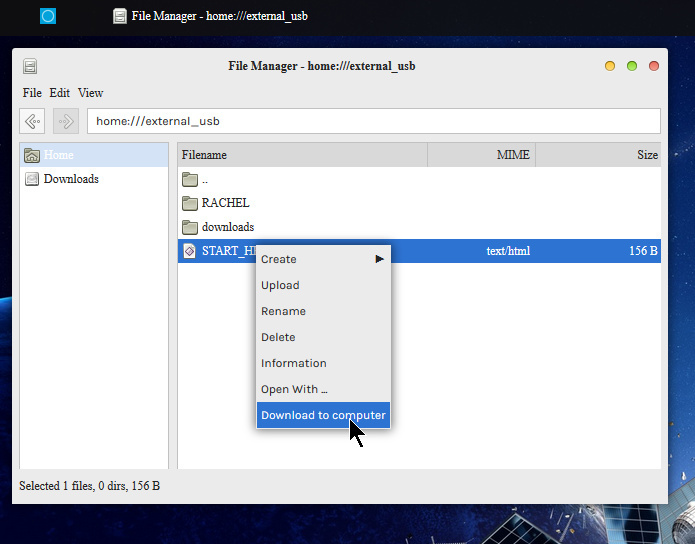 I have downloaded the Rachel Pi image and am currently extracting it to my computer HDD. Are there specific folders one should move over to the SD or does the whole image need to move? 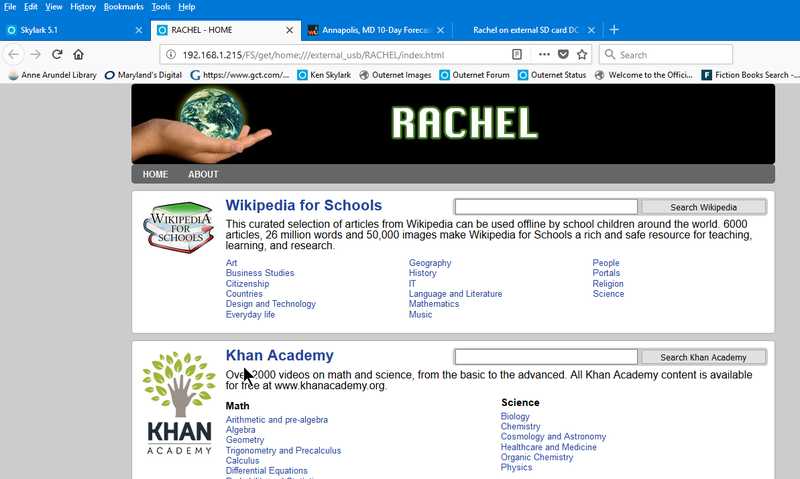 Also, do you have any experience making a custom Rachel image? I found one of your posts that describe it. 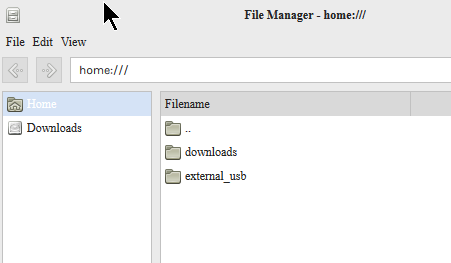 It looks like all the files are located in var/www/modules. I have the usb 32 GB usbEN unzipped onto a sdcard, then after a while the “outernet downloads” also show up on the data drive. To use Rachel I click on the START_HERE.hml and choose download to computer. these are modules in the 32 gb usb ENglish . Yes you can add more. Jason, the real trick is going to be making the Rachel HTML file pop up and be able to be drilled down into. @Abhishek recognizes the issue here with Rachel-like data bases and is problably going to fix this so the Skylark Reader works like your computer does when you download to the computer. To do that, you have to be able to correctly render the START_HERE.html file with the reader. me2 … I’m listening to the conversation. I’m very interested in getting Rachel going on my DreamCatcher as well. Having Rachel is a nice addition to the DC. I am currently copying the full library to a 500GB drive, would like to pair it up one day with the DC and a hub just to test it out. Might come in handy one day. Are these size limits only for the sd card, or do they apply to plugging in a usb thumb drive or even a usb hard drive? into a hub so the wifi adapter is still functional. I don’t know - - I didn’t test a USB Flash drive or hard drive with the Dreamcatcher/Skylark 5.2 - - just micro SD cards. That said, I am successfully using a 32 GB FAT32 Flash drive with one of my Dreamcatchers/Skylark 5.2 (connected thru a passive HUB that also holds the WiFi dongle). The USB Flash drive worked fine under Skylark 5.0 and 5.1 too, but I never went above 32 GB; and I could not get a 1 TB Western Digital Passport hard drive to work under Skylark 5.0 and 5.1. I’m guessing I might have used the wrong format. I am currently downloading all the file to a HDD, but I haven’t started to unpack them. When I do, I will create a large fat32 partition. other names for the precise FAT32 filesystem to use are: FAT32 (LBA), and VFAT. the original Win95 FAT32 (no LBA) is not suitable. DC v3.03 w/Skylark 5.5 accepts 64GB microSD cards in both slots (Samsung EVO Select UHS-3). My Rachel is installed on a 128 Gb Samsung EVO Select U3 SDXC I (formatted VFAT) in SD2 on my portable Dreamcatcher 3.03 running Skylark v5.5 and it works fine, with no problems.